In honor of it being Open Enrollment Period for healthcare plans through the national healthcare.gov website (commonly known as Obamacare), as well as many state and private healthcare plans, this week we are bringing you a special edition of the Wellness Roundup focused on healthcare access. Obamacare has helped reduce the huge insurance disparities LGBT people once faced, but challenges remain. Make sure you search for a healthcare plan by December 15 if you are using healthcare.gov, or check with your state, private, or employer plan. Out2Enroll launched their annual enrollment campaign aimed at getting LGBT people to sign up for healthcare, which includes a 2019 toolkit for organizations looking to help spread the word. They also offered updated FAQs to help LGBT people understand how to get covered, what is covered, and why it should matter to them. 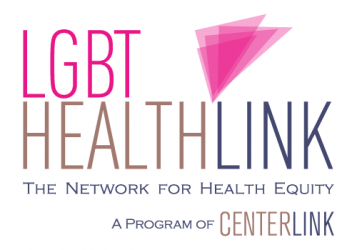 CenterLink is proud to serve on Out2Enroll’s advisory committee and to assist LGBT centers nationwide in getting LGBT folks covered. Queer Eye’s Karamo Brown opined on why he grew up thinking of healthcare as a privilege and not a right, and how that (and concepts of masculinity that he learned from others) led him to turn to alcohol and drugs instead of getting the care he needed. If you need help finding mental health services, check out this new resource guide from Teen Vogue. A new study found that lesbian women were less likely to receive birth control counseling at pregnancy tests or condom use information at an STI test, even though they may benefit from this information. Researchers said comprehensive and inclusive counseling scripts are needed for providers to ensure that queer women receive all the counseling and care they need. The University of North Carolina hosted a transgender health conference in which doctors reported their profession as “ignoring” the transgender population. They also said trans people face challenges in getting insured and in getting insurance to cover their care. However, they also discussed promising developments like increased services for youth and better data collection. Personnel Today reported on a new UK study that found that 23% of LGBT people experienced or witnessed healthcare discrimination, and that 14% were deterred from seeking care because of it. LGBT people also reported unique experiences requiring care, such as hate crimes and higher rates of suicidality. Additionally, 62% of transgender people said providers did not understand their needs. While getting covered with health insurance is key for LGBT people, challenges remain between coverage and care. For example, a California study last month found that facing delays in care may now be a bigger problem there than getting LGBT people to enroll, and a recent study found that LGBT people still avoid care and face worse outcomes post-Obamacare. So once you get covered, remember to check your rights and find a quality provider to get the care you deserve. Previous Post Don’t Be Afraid! It’s #LGBTWellness News! Next Post Happy Holiday #LGBTWellness News to All!